Event management is a dynamic realm fusing conventional project management concepts with technological innovation. It requires constant up-gradation and originality to organise successful events. India is fast growing with new industries coming up. Industries and brands conduct events for interactive experiences and gaining popularity. Large-scale events build an image and reputation. This raises the demand for finer event managers to cater to the needs of the companies. The event management sector in India is a sunrise industry. 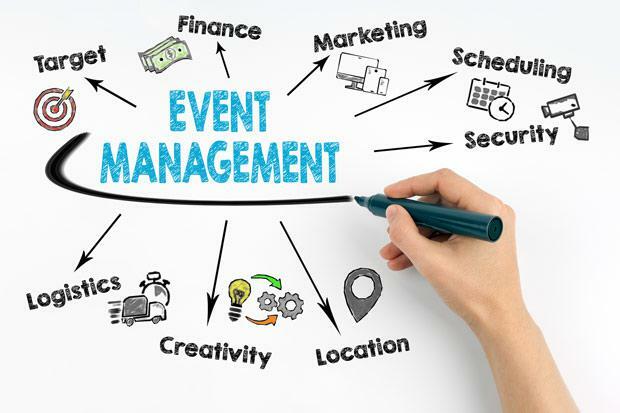 The concept of ‘event management’ has multiplied vastly and in depth. From private activities to public events, everything needs management. The past years have seen a drastic re-defining of the aspects of an event. The advent of social media has also contributed majorly towards this sector. Each and every large-scale event gets highlighted not only in newspaper or T.V but also on multi-dimensional social media platforms. Entertainment events, for example, music or video releases, promotions, star nights, award ceremonies, etc. Exhibitions of art, paintings, textile, etc. Corporate events like conferences, training programs, award functions, award functions, seminars, etc. Social events like get together, anniversaries, weddings, birthday parties, fundraising, etc. Educational events including college industrial tours, picnics, adventure sports, college fests, etc. According to a survey, event management industry in India has grown approximately 25% in the last year. This indicates the immense scope of this industry in near future. Rising demand for proficient event managers needs to be met in a better way. Umpteen capital increases the need of experts in handling minutest of details without much interference. According to recent trends, the top-most branch of event management in India is wedding planning. We are a country of vast and variable customs and traditions. A wedding is a lifetime affair. After education, parents spend most of their investments on their child’s marriage. A decade ago, wedding functions were limited to a one-day event with close relatives as invites. Gone are those days. Weddings are social announcements with a cluster of decked-up events. People are ready to splurge and invest crazily. To add uniqueness and grandeur to weddings, hiring a wedding planner filters out as the best option. A single wedding requires dedicated time and effort towards planning and implementation. Restriction on time in this busy world gave rise to the need of wedding planner. As per predictions, the industry of weddings will reach new peaks in the future. If you are an expert in managing wedding events, you are sure to be welcomed and loaded with revenue. There is a similar scenario in case of birthday parties, business meeting and corporate events. Ravishing venues topped with savouring delicacies are chosen for such events. It is reported that organisations spend around 20% of their revenues on meetings, seminars, and other events. It does the job of reputation- building in the market full of competitors. Birthday parties are no longer conventional. People believe in grand surprise parties with celebrity guests to celebrate the occasion of a birthday. Any marketing strategy encompasses the necessity of event management. Events can either incorporate direct marketing or indirect marketing. A large-scale event is organised to launch a product, advertise the brand or simply to celebrate its success. Events also indirectly behave as a bridge to obviate the communication gap. It is an interactive experience among employees in different industries and increases contact base. This realisation is fast increasing and is sure to burden the event management industry in the future. From the above analysis, event management industry portrays a rosy image of the future. It has already evolved in a lot of ways in India. Highly experienced and professionalised event managers inculcate a pro-active approach. It generates a satisfactory sense of self-participation and experimentation. They stress on the magic of guest involvement. Feedback's go a long way in this sector. The client's contentment lies in the reputation among guests. Every event, in addition, should deliver high standards of personalised. The uniqueness of an event lies in the concept of personalised elements. Event management is one such industry that demands the engagement of all five senses. An event has undoubtedly become a multi-sensory involvement.